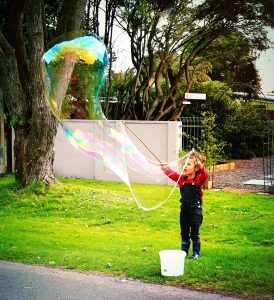 There are many things in life that bring us all joy and happiness, like sharing exciting experiences with family and friends, opening a surprise Christmas gift, our beloved pets and animals, Xmas trees, celebration and this list can go on…but…there is nothing quite like the joy and excitement experienced from blowing bubbles. 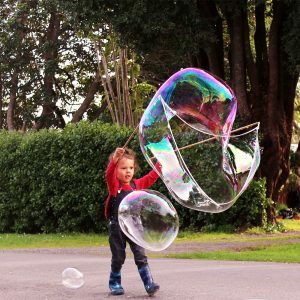 11 reasons why Giant Bubbles is the perfect gift for Christmas and any other occasion. The perfect Christmas gift, with a difference. 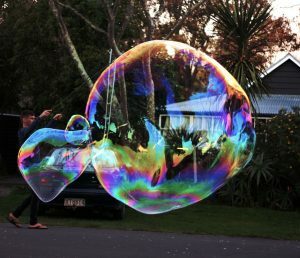 I was given a bubble wand for my birthday that looked exactly like the wand in this picture. 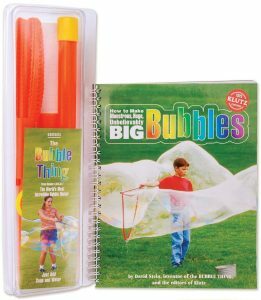 I had this big, red, plastic bubble wand and a book of pictures of all these big bubbles and I wasn’t able to make a giant bubble with it. The following ingredients are common to all of the variations. The amounts make about 1040 ml of Giant Bubble Juice.